We have a new Jelly Bean 4.2.2 update available, this time for the Wireless only version of the Galaxy Tab 2 7.0, following its 3G brother that got the update a little earlier. Users can update their tablets using Kies or OTA, but for starters it was only available in the UK. You know how these Samsung updates roll out, so you might have to wait a few days until you can update in other countries. The update carries version series P3110XXDMH1 and it brings in some exciting changes. Similar to the Nexus 7, you can now customize your notification panel, use Daydream screen saver mode, install multiple user accounts and an overall much better experience and battery life. You can also manually download this update and then install it by yourself using Odin. 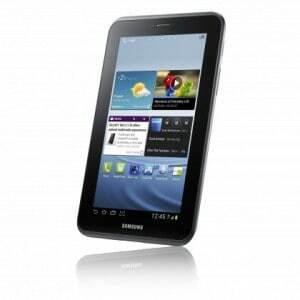 You can download the Android 4.2.2 update for Galaxy Tab 2 7.0 WiFi from the following link – Download P3110XXDMH1_P3110OXADMH1_BTU.zip – and then follow the steps in this tutorial.